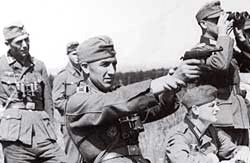 Notes Issued as the main service pistol of the Wehrmacht at the beginning of World War II. It was to replace the Luger P08. The P.38 was issued to Officers, NCOs and the Crews of support weapons.